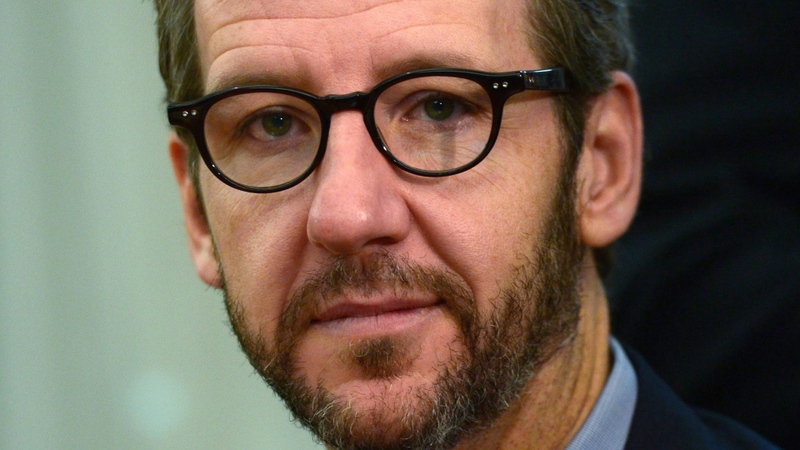 OTTAWA – Prime Minister Justin Trudeau's former top adviser Gerald Butts will appear before the House of Commons Justice Committee to testify on the SNC-Lavalin scandal. This decision was made less than 24 hours after Jody Wilson-Raybould stunned parliamentarians with her testimony. The committee agreed to invite Butts to testify after he sent a letter to the chair requesting to appear. In his letter, Butts says that he watched Wilson-Raybould's testimony -- in which she alleged that she faced high-level "veiled threats" and "sustained" political interference in the criminal prosecution of the Quebec construction and engineering company -- and he believes that his evidence "will be of assistance" to the committee's "consideration of these matters." In addition to Butts, the committee has also invited back Clerk of the Privy Council Office Michael Wernick and deputy minister for justice Nathalie Drouin. Both of them have already appeared before the committee. During Wernick's previous testimony he disputed the allegations that Trudeau's office pressed Wilson-Raybould to drop a criminal prosecution against SNC-Lavalin, saying that the pressure she felt wasn’t "inappropriate,” and that those involved we providing her “context” about the implications of the criminal case continuing. All three of these witnesses were named and referenced multiple times in Wilson-Raybould’s more-than-30-minute opening statement in which she directly implicated the prime minister as she detailed chronologically a series of communications with her office from 11 people, including senior staffers from Trudeau's office, the Privy Council Office and Finance Minister Bill Morneau's office. The Liberal MPs on the committee said in a statement that after reviewing all of what Wilson-Raybould had to say in her more-than-three hours of testimony on Wednesday, that they want more clarification on specific meetings and phone calls referenced. "We believe that it is important that Mr. Butts respond to the account of the meeting of the 18th provided by Ms. Jody Wilson-Raybould, in addition to the other allegations about him and PMO colleagues mentioned in her testimony," said Anthony Housefather, the chair of the committee, in a statement sent out by the Liberals. In his letter asking to appear, Butts said that he needs "a short period of time" to receive legal advice about producing his elements and relevant documents to the committee. Butts resigned on Feb. 18 amid this scandal. He has denied any wrongdoing and said he was leaving because he had become a distraction. "At all times, I and those around me acted with integrity and a singular focus on the best interests of all Canadians," Butts said in his statement. "Any accusation that I or the staff put pressure on the Attorney General is simply not true," he said. The Liberal MPs also said that the reason they want the other two senior bureaucrats back is that they initially appeared before cabinet confidence and solicitor-client privilege were waived for Wilson-Raybould and "any person who directly participated in discussions with her," on any testimony to the committee. "We would like to hear from them about their recollection of the events and conversations mentioned in Ms. Wilson-Raybould’s testimony," the statement continues. The MPs on the committee met behind closed doors to discuss the next steps for the study. The NDP wanted Butts to testify under oath, as well as everyone else in the PMO who was mentioned by Wilson-Raybould in her testimony. Having those she named appear was something Wilson-Raybould suggested would be important to the committee's work. To date, all attempts from the opposition to call many of those she has named have been voted down by the Liberal members on the committee. Opposition MPs coming out of the in-camera meeting on Thursday expressed disappointment over the Liberals’ handling of the committee study. "She has already torpedoed Mr. Wernick's testimony, she has already torpedoed Mr. Butts resignation letter and so absolutely going forward we have to bring these people forward," said NDP MP Alistair MacGregor. The testimony from all three is expected to occur next Wednesday should the witnesses all be available, even though the House isn't sitting, Housefather told reporters after the meeting. It would be a marathon hearing, where Butts would be granted two hours, as would Wernick and Drouin together. There is also a desire from the Conservative and NDP MPs to invite Wilson-Raybould back to add to her testimony, which she signalled openness to when she was before the committee. It’s yet to be seen if, or when that could occur. On Thursday Liberals faced a barrage of questions from the opposition in question period over Wilson-Raybould's testimony, ahead of the emergency debate in the Commons. Trudeau was not in question period and was not expected to attend the emergency debate. Trudeau told reporters Thursday morning that he remains focused "on the things that really matter to Canadians," and said he would "participate fully" in the ongoing ethics investigation that Federal Ethics Commissioner Mario Dion has undertaken on this scandal. Trudeau pointed to Dion as the officer of Parliament who is best suited to "make a determination" on "disagreements amongst politicians, amongst elected officials." "So while political parties and various people are making, or trying to draw a lot of attention to this issue, there is a process… that will make a determination on what actually happened here so Canadians can be reassured that our institutions continue to function," Trudeau said. In her testimony, Wilson-Raybould recalled a series of interactions, based off notes she made and her own "clear" memory. One such instance was a text conversation she had with her then-chief of staff Jessica Prince about a meeting Prince had with Butts, and Trudeau’s Chief of Staff Katie Telford. Wilson-Raybould quoted her staffer as telling her that Butts had allegedly said: "Jess, there is no solution here that doesn't involve some interference." Trudeau told reporters on Thursday that the last time he had spoken with Butts was last Wednesday, two days after he resigned "to check in on my friend and see how he was doing." In another exchange at the committee, Wilson-Raybould named Ben Chin, who is Finance Minister Bill Morneau's chief of staff. She said that he spoke with Prince to say that extending a deferred prosecution agreement to SNC-Lavalin needed to happen out of fear the company would relocate. Facing a barrage of questions about Chin’s alleged involvement on Thursday, Morneau defended his staff saying they acted entirely appropriately and out of interest of jobs. Wilson-Raybould referred to more "veiled threats" that came around December 18 and 19, when she had a phone call with Wernick in which he sought to know whether her thinking had changed about pursuing a deferred prosecution agreement. After Wilson-Raybould's testimony wrapped up, Conservative Leader Andrew Scheer called for Trudeau’s resignation and for the RCMP to "immediately" investigate what he called "numerous examples of obstruction of justice." 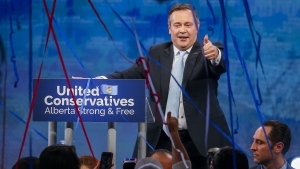 In a statement on Thursday, Scheer said that he has sent a letter to RCMP Commissioner Brenda Lucki asking for an investigation to be launched. "According to the facts as have been revealed in media reports, Parliamentary testimony from Clerk of the Privy Council Michael Wernick, and most significantly the recent comments of the former Attorney General, Canadians rightly ought to be concerned that criminal law has been violated," Scheer wrote in the letter. The RCMP have confirmed that they have received the letter and are "reviewing" it. Trudeau said Thursday that to his knowledge none of the 11 people who Wilson-Raybould alleges were involved in the political interference in the SNC-Lavalin case have been contacted by the RCMP. "I have taken knowledge of her testimony and there’s still reflections to have on next steps," Trudeau said Thursday. On her way out of the committee on Wednesday, Wilson-Raybould said she will continue to serve as the MP for Vancouver-Granville, and that she doesn't "anticipate being kicked out of caucus." "I was elected by the constituents of Vancouver-Granville to represent them as a Liberal Member of Parliament," she said. On Wednesday, Wilson-Raybould said she believes that she was shuffled out of the justice portfolio in January as a result of the SNC-Lavalin conversations, though Trudeau once again stated on Thursday that the decision made in a cabinet shuffle "involves many factors." Trudeau said again Thursday that the "primary" reason was the resignation of longtime Liberal Scott Brison, and had he not have left the front bench, Wilson-Raybould would still be the minister of justice and attorney general.